Welcome to our section on pond fishing tips. In this section you’ll be able to learn everything you need to know about pond fishing and how to be successful at it. Instead of just presenting a bunch of tips on pond fishing we provide organized, educational information on pond fishing. You’ll start off by learning the basics of pond fishing and then be able to review some of the most effective pond fishing tips available to us. If you’re still looking for more information then take a look at our pond fishing tackle list and our list of additional resources. Regardless if you’re a seasoned angler or just starting out there is something for everyone in this section. Pond fishing is the method of fishing in a body of water that has a photic zone throughout its entire width and length. Essentially this means that aquatic plants can live across the entire length and width of the body of water, both above and below the surface. A pond can either be privately owned or publicly owned so always make sure to get permission from the owner if it’s a private pond. 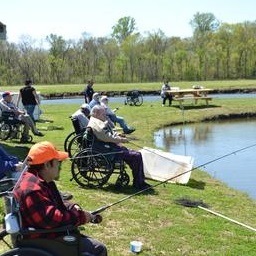 Some of the most fun fishing can take place in a private pond with little pressure from other anglers. One of the best features of ponds is that if you use a pair of polarized sunglasses on a very sunny day then you can get a good idea of what type of fish reside in the pond. While most fish in a pond are relatively small there is always one apex predator who is king of the pond. 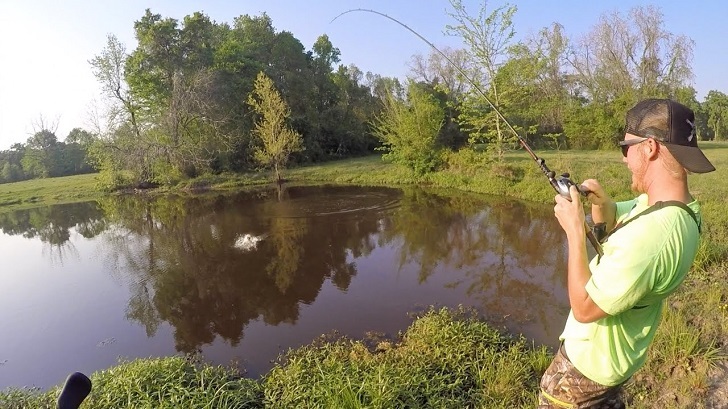 When fishing in a pond it’s important to follow creel limits set by local or state agencies and with private ponds you’ll want to make sure the owners will allow you to remove fish. Creel limits are important in ponds because the fish population isn’t that large and everything is a part of the food chain. By removing too many bluegills, for example, you could have certain types of aquatic insects flourish that could decimate important aquatic plants that provide breeding beds for those same bluegills you removed. Most pond anglers will also want to avoid using live minnows if possible and if you do use them then make sure to never dump left over minnows back into the pond. Below is our secret stash of pond fishing tips. We’ve gathered these tips from across the internet and from submissions by anglers just like yourself. The Duck Hunt – In ponds, and even in large lakes, you’ll usually find ducks who get fed by visitors. Just like ducks, fish are always out for an easy, free meal and it’s common for fish to follow ducks around, especially in ponds where they are frequently fed. Trying to fish near flocks of ducks can yield some big hits from fish who are expecting to find free food near them, just make sure you don’t hook a duck! Worms Are Very Effective – Worms are the most popular type of bait for ponds and for good reason. Most fishermen will experience the most success using wax worms, euro worms and regular worms as bait. It’s a good idea to try out the different types and see which ones work best in your particular pond. Use a Short, Ultra-light Rod – You’ll want to avoid using a rod over 6′ when fishing in a pond, it will make life easier when trying to cast on or around structures where you think fish might be hiding. In addition, by using an ultra-light rod you’ll be able to have more fun catching the small fish that are usually found in ponds. It’s also good practice to make sure that you’re using the right techniques when reeling in fish. Stay Hidden and Out of Sight – If you can see the fish then they can see you! In small bodies of water like a pond it’s not uncommon for fish to be able to see you. In fact, vibrations travel farther in small ponds and even if they can’t see you they can tell someone is near the edge of the water. Try to walk up quietly and stay out of sight, and use camouflage clothing that matches the local environment. Review Topographical Maps – In some instances you might be able to get a topographical map for the pond you’re going to fish in. This is great because you’ll be able to see the different depths of the pond and perhaps sunken structures or fish beds. Use these maps to your advantage when deciding how deep to set your bait. 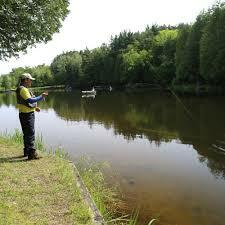 Look Around for Bait Ideas – Look around and see what fish might be feeding on in the pond that your fishing in. 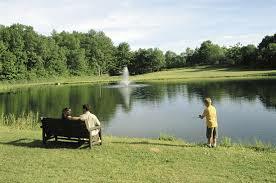 Try to catch one or more of the more common insects near the pond and use them as bait. Most likely these little critters fall prey to hungry fish day in and day out. 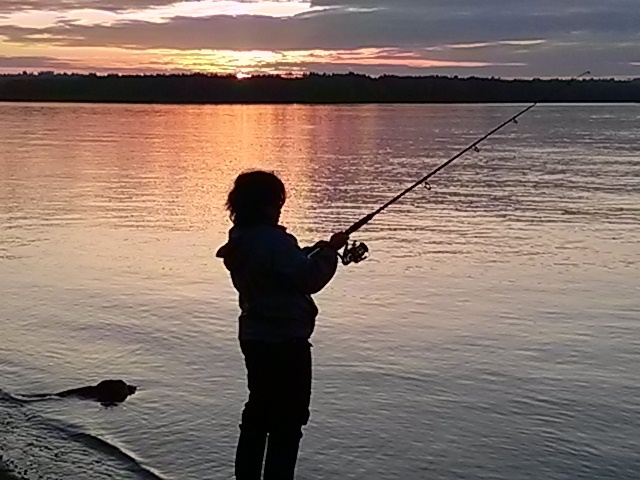 Nothing works better than the natural prey of the fish you’re trying to catch. Use Temperature to Your Advantage – Fish like a specific type of water temperature because of the amount of oxygen in it, not to mention it’s what their body can tolerate. Fountains, streams and springs feeding into a pond can provide adjustable water temperatures that might be more appealing to specific fish. Fish Pond – Visit Wikipedia to learn more about fish ponds.